WASHINGTON — The F-35 joint program office is aiming to cement a contract agreement with Lockheed Martin for the 11th batch of joint strike fighters by the end of the year. 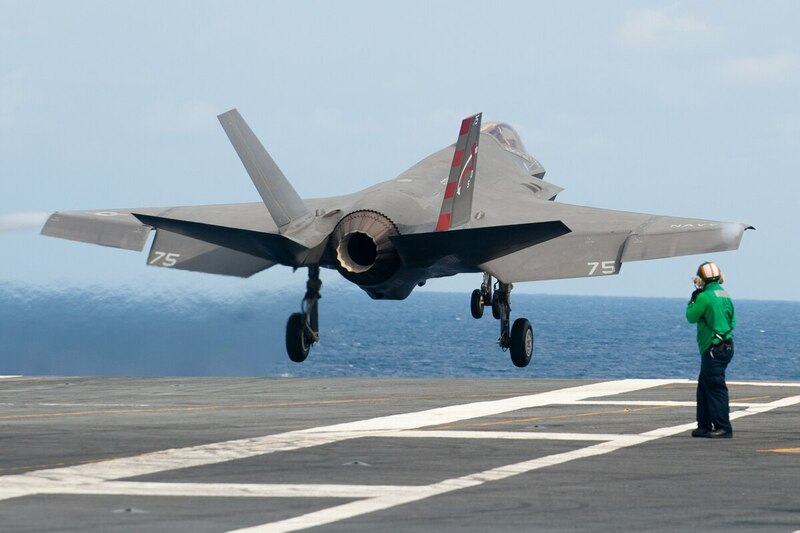 The JPO has finalized its proposal, which will decrease the price of an F-35A conventional takeoff and landing model to less than the $94.6 million per unit price in the lot 10 deal, he said after a speech at the Defense News Conference. The Defense Department has awarded Lockheed Martin a $5.6 billion undefinitized contract that will allow the company to continue work on the 11th lot of F-35s. To stay on schedule, the JPO needs to cement a deal for lot 11 by the end of FY17, lot 12 in FY18 and so on. It takes about two years for Lockheed to go from a contract award to delivery of an F-35, so even though the JPO hasn’t awarded a lot 11 contract yet, Lockheed is already gathering materials needed for that batch of aircraft, Winter acknowledged. The Pentagon made a $3.7 billion advance payment to Lockheed Martin late Friday for the 11th batch of F-35 aircraft. The JPO and Lockheed reached a handshake agreement for the 10th lot of F-35s on Feb. 3, more than a year later than the program office had expected. Both the JPO and Lockheed Martin officials have stressed that intervention by U.S. President Donald Trump helped push negotiations forward and lower unit costs, which fell about 7.5 percent — a bit lower than the 6 to 7 percent price reduction predicted by the program office. The deal is a $728 million drop from the previous lot of jets. The Defense Department has already awarded two advanced payments to Lockheed using a mechanism called a unilateral contract agreement. Those UCAs were worth $3.7 billion and $5.6 billion and included funding for 141 planes, including 50 for international customers.